Other variations on this question could be “do I need a root canal,” should I be afraid of root canals,” and “How horrible are root canals?” At Atrium Family Dental, we have heard them all. So, let us begin with those answers: maybe, no, and not horrible at all! Why Would I Be a Candidate for Root Canals? You might be a candidate for root canals if you are in unbearable dental pain. This is where the misconceptions begin; root canals do not cause pain. They ease pain. The thing is, when you develop dental pain, it is generally because you have a bacterial infection in the pulp of your tooth. If your dentist says “it looks like you are a candidate for root canals,” what he or she is saying is basically that there are treatments available that will stop the pain. There are any number of reasons why your tooth could hurt. It could be deeply decayed, or you could have huge fillings that are failing. Alternatively, you might have experienced significant trauma to the tooth. Regardless of the cause, you want the pain to stop, and that makes you a candidate for root canals. Well, you could just do nothing and live with the pain. If you choose that course of action, though, the bacteria are going to work their way even further down the tooth and ultimately into the jawbone, where they will grow and fester and cause even more pain. Needless to say, this is not the recommended course of action. 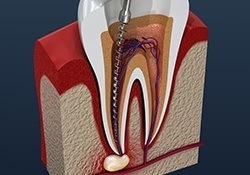 If you need root canal treatment, your only other option is extraction. 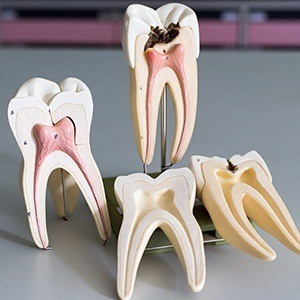 The problem with this is that the teeth that remain around the extraction site will begin to crowd in, and that could result in a bad bite. We encourage patients to rely on root canal therapy for relief. You do not have to be afraid of a root canal. It really is no more uncomfortable than any other routine treatment because your dentist will numb your mouth using a local anesthetic. Then, he or she will drill down into your tooth and extract all the infected material from the canals. Once this is done, your tooth will be filled, a crown will be placed to protect the underlying structure of your tooth, and you will be out of the dentist’s chair in little more time than you would for any other treatment. You might be asking “am I a candidate for root canals if I have a very low pain tolerance?” The answer is “yes.” With root canals, you might find that you have a bit of discomfort for a few days after the treatment, but most of the time, it can be handled using over-the-counter pain relievers. If you are in serious discomfort, your dentist can give you something stronger.